Hull University Teaching Hospitals NHS Trust is using Thursday 12th May, Nurses Day, as an opportunity to celebrate the contribution that more than 3,000 nursing, midwifery and care assistant staff make to patients across Castle Hill Hospital, Hull Royal Infirmary and the wider community. Nurses Day is celebrated annually on 12th May, to coincide with the birthday of the country’s most famous nurse, Florence Nightingale. At Hull University Teaching Hospitals NHS Trust, nurses and midwives make up more than 40% of the entire workforce, ranging from critical care and research nurses through to infection control specialists, theatre staff, and occupational health nurses, who care for hospital employees. They work across hospital wards and departments, outpatient services and community services. And the good news is that the number of nurses working for the Trust is set to increase. Just days ago, 74 third year nursing students from the University of Hull, who are due to qualify this summer, were offered positions with the Trust in their chosen specialist areas. Efforts to attract new nurses and midwives to the Trust, and to retain those who train for these professions in the city, will also continue over the coming months under the Trust’s ‘Remarkable People, Extraordinary Place’ campaign banner. “I am extremely proud of all of our nurses, midwives, and care assistant staff for the fantastic jobs they do every day for our patients and the Trust. “I have been privileged to be a nurse for over 34 years and, whilst it can be really hard work at times, it is also an extremely rewarding career. I believe that nurses and midwives are the life blood of the NHS. The great thing about nursing and midwifery is that there are so many different opportunities and areas in which to specialise, there really is something for everyone. A special event will be held at Hull Royal Infirmary on Nurses Day, Thursday 12th May, to showcase the work carried out by the Trust’s nursing, midwifery and care assistant staff to improve patient care. Nurses and midwives from across the region will be treated to a showcase of work on areas such as falls prevention, dementia care, and learning from incidents, and be able to take a step back in time as they inspect uniforms and clinical equipment from years gone by, courtesy of the Hospital Archive. 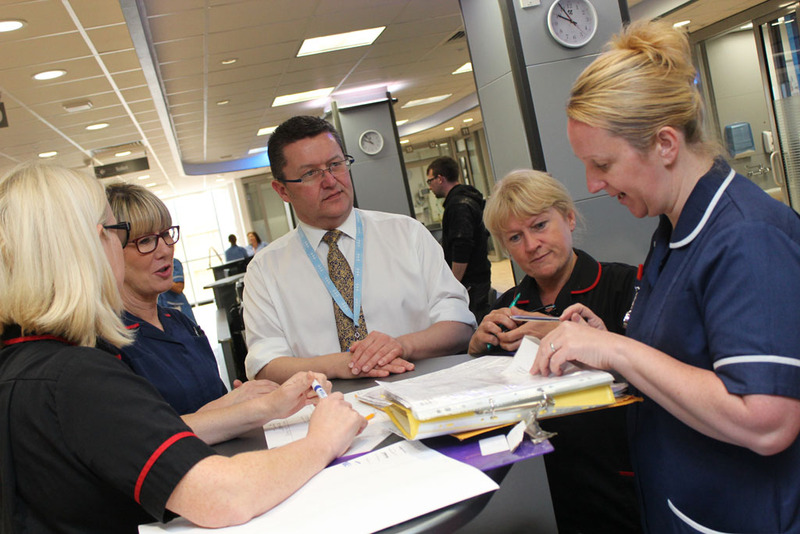 The event will also feature the launch of the Hull and East Yorkshire Nursing and Midwifery Strategy and Action Plan, which sets out how nurses and midwives will work together across the region to innovate, improve, and deliver quality care to local people in the coming years. Copies of this document are available upon request.